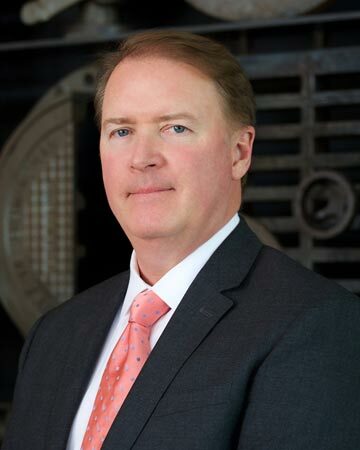 Bruce has a national litigation practice, and over the last twenty-five years he has acquired substantial experience in business, insurance, and environmental litigation, as well as the defense of high-stakes personal injury and wrongful death cases. He has litigated matters 20 states and territories, and Canada. Several clients also call on him regularly to work on a variety of insurance coverage matters and risk management issues, ranging from coverage opinions and analyses to all types of coverage litigation. Bruce places a high premium on providing excellent client satisfaction, problem solving, and preemptive legal work. Bruce served as national coordinating counsel for a pharmaceutical company in the fen-phen litigation and serves as state or regional trial counsel for a number of companies, including a global leader in power and automation technologies, syndicates and insurers in the London insurance market, an international group specializing in the sourcing of natural ingredients, and market leaders that design, produce, and sell agricultural vehicles and implements, construction equipment, and industrial machinery. Product liability: Served as lead counsel for a global electrical automation company in a New Jersey state court personal injury case alleging negligence. The plaintiff was a crane mechanic injured by the sudden movement of a power cable reel on a massive ship-to-shore gantry container crane. The crane had been serviced by our client one month prior to his accident, and the plaintiff claimed it left the crane in an unsafe condition, proximately causing millions of dollars of injuries. After a jury trial lasting 10 days over three weeks with 13 witnesses, the plaintiff opted to settle the case for a confidential sum satisfactory to our client immediately prior to closing arguments. Commercial litigation: Obtained a $2.09 million jury verdict for a corporate client in a commercial dispute tried to a jury in federal court in Tennessee. Following an appeal to the U.S. Court of Appeals for the Sixth Circuit, we tried the case a second time and obtained a $4.711 million jury verdict for our client. Product liability: Obtained a defense verdict for a well-known manufacturer of agricultural and construction equipment in a case filed by an Alabama farmer claiming breach of various warranties relating to his farm tractor. The jury deliberated for a little over an hour. Environmental litigation: Obtained a multi-million dollar settlement for the client, a commercial nursery, in a Clean Water Act (CWA) lawsuit filed against a neighboring business. The client’s nursery crops and business were damaged as a result of the defendant’s contamination of an irrigation pond with agricultural pesticides and other chemicals. Insurance litigation: Served as coverage counsel for an insurer, helping it settle a dangerous wrongful death case and seeking reimbursement of the settlement amount from a company that agreed to indemnify the client’s insured and that company’s insurer. Following aggressive discovery and briefing, and argument of several dispositive motions, we settled the case and recovered nearly $1.6 million for the client. Product liability: Obtained dismissal of a leading global provider in the field of mechanical and system engineering following a successful personal jurisdiction challenge in a serious personal injury case. Ex parte Güdel AG, 2015 Ala. LEXIS 66. Insurance: Representation of European insurance carrier in analysis, evaluation, and settlement of hundreds of high-exposure medical device product liability claims pending around the United States. Product liability: Defense of a major German supplier of mining and tunneling equipment and safety systems in a class action (Alabama) and a mass action (West Virginia) purportedly involving more than 30,000 plaintiffs alleging exposure to polymeric diphenyl methane diisocyanate. Commercial litigation: Obtained six-figure settlement in a trademark infringement/deceptive trade practices lawsuit in Ohio on behalf of one of the world's largest electrical engineering companies.